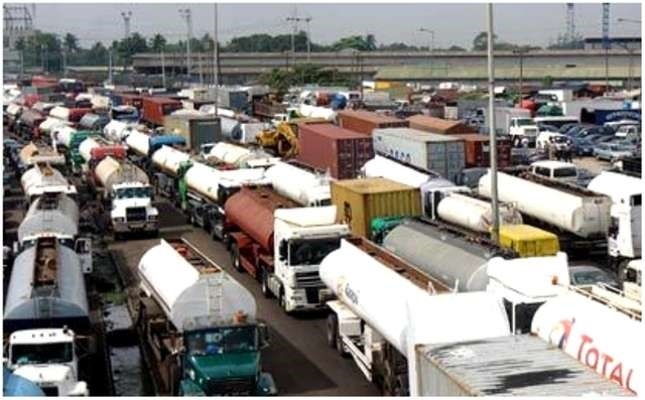 Apapa traffic had constituted a nuisance to businesses in the area. “Because it is very embarrassing! We can’t just sit and have a road like that, which it is the heart of trade in the country. More than 60% of our country’s imports and exports come through the Apapa Port". Africa’s richest man, Aliko Dangote is surely putting his money where his mouth is. Dangote who is the President of Dangote Group is committing to tame the infamous Apapa traffic by partnering the federal government to reconstruct the road, since some of his key businesses operate from Apapa. He commended the decision to reconstruct the failed Apapa Wharf Road as its grim state is an embarrassment to the country and a huge loss of close to 140 billion Naira on a weekly basis. “Today, there is no linkage road going from the South-West to the North. You have to go all the way through Ajaokuta, Obajana, Lokoja and you have to go by that uncompleted road that Obasanjo started 13 years ago,” Dangote lamented. Commenting on his resolve to personally get involved in the Apapa Wharf Road reconstruction, he said, “Because it is very embarrassing! We can’t just sit and have a road like that, which it is the heart of trade in the country. More than 60% of our country’s imports and exports come through the Apapa Port and we leave the road unattended to. “That is why we started on our own. Flour Mills said they will join us, but now the government has changed the design because they want all the cables and pipes underground and to have a more robust solution,” Dangote explained.